Zeeshan Ullah is a Toronto native, born and raised in the east end attending the neighborhood elementary and secondary school. He went on to attend the University of Toronto receiving a B.A. in Political Science before being accepted to City University London for Law School. Zeeshan began his career as an associate lawyer at Reybroek Barristers before gaining employment at Zarolia Barristers. Zeeshan has a track record of attaining excellent results on behalf of his clients and this is due in large part to his determination and focus. He is a very understanding individual and extremely sensitive to his clients and dedicated to getting them the result they need. His profound care and concern for his clients is highly acclaimed in the practice of law and it is what makes Zeeshan Ullah stand out as an advocate. Zeeshan has broad command of the practice and procedure of law, having represented clients in a wide range of legal matters over the course of his career. His varied legal practice has allowed him to hone and develop his knowledge and expertise in many areas of the law. 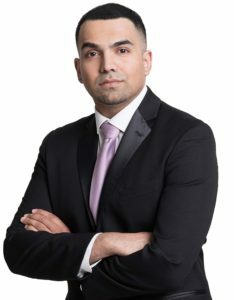 Zeeshan Ullah has handled cases before the Ontario Superior Court of Justice and Ontario Court of Justice. As a professional, Zeeshan believes that open and forthright communication at every stage of the legal process is essential to achieving a positive outcome. He is a member of the Ontario Bar.